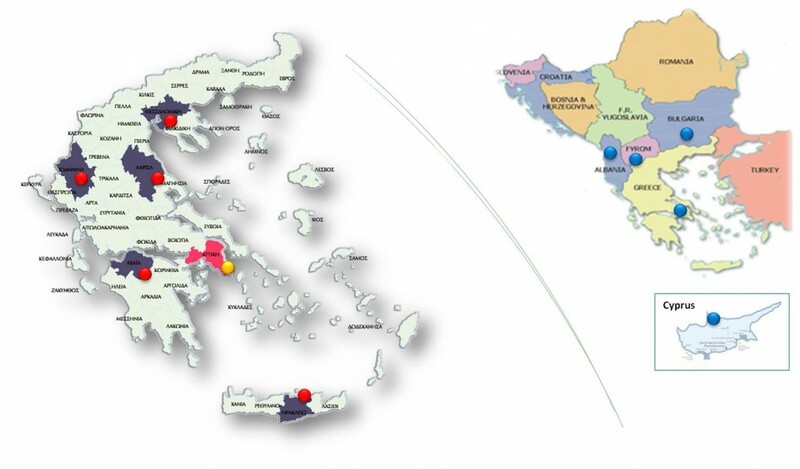 Nationwide coverage οf mainland and islands..
TALANTON has representatives in Greece and other countries. The Head Offices are located in Athens. Branch offices or affiliated offices are located in Thessalonica, Larissa, Patra, Heraklion, and Ioannina. Cyprus (Nicosia), Bulgaria (Sofia), FYROM (Skopje), Albania (Tirana). Serbia, Romania, Turkey and South Africa.